Recently with the release of Windows 8, Microsoft has made some changes to the monetization of their Media Center software. It is now considered an “Addon” that needs to be purchased, and requires users to be on at least “Professional” level of the OS. This puts the Media Center software out of reach for most casual consumers and has left lots of customers scrambling about where to go. While there are plenty of options out there, I think a lot of people would be surprised to find that the (arguably) best and most full featured media center software available is open-source under the GPL license and available completely free to all users. 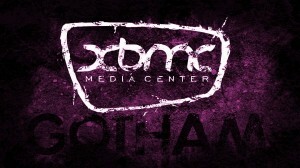 I am of course referring to XBMC, or “XBox Media Center”. 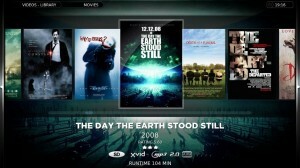 XBMC is a media front end designed to turn your PC into the ultimate “Smart TV” box. It has features for managing movies, tv shows, music, launching programs, and can tie into all sorts of streaming services. XBMC actually started out as a homebrew project for hacked versions of the original Xbox console. The project was so popular and so well built however, that even as we strayed past the days of hacked Xbox 1’s, the developers continued the project moving to Linux, Windows and MacOS instead. Now adays, this media center software is available for virtually any OS and even has started releasing it’s own stand-alone OS variants. Basically it acts as a front end for your media library, allowing you to use your PC as a PVR/Blu-Ray/DVD/Jukebox/etc device. The focus of the software is on usability at 10-feet, and is made to be visually appealing as a front end, and controllable by simple devices like remote controls, mouse-less mini keyboards or touchscreens. Your media is managed automatically by the system. You just organize your Movies and TV Shows into a nice folder structure, and tell XBMC where to look. It uses a technology called “scraping” to retrieve titles and information from the files and then automatically downloads meta data such as cover art and synopsis from 3rd party websites. Although a touch of intervention is sometimes required to get XBMC to play nicely with your files, it is generally a very smooth and hands off process. One of the best features of XBMC that I believe distinguishes itself from the competition is the support for user developed plugins, and the huge developer support behind these plugins. There are essentially plugins for everything you can think of ranging from launching emulators, netflix, straight down to the totally illegal, use at your own risk plugins for illegal streaming sites. These are really just the tip of the ice berg. There are hundreds of plugin options to tailor the experience to exactly what you want to do with XBMC. OpenELEC is very, very barebones and is not intended for people who are wanting other uses of their hardware then XBMC itself. If you are wanting a minimized OS that puts the focus on XBMC but is also capable of the other typical OS tasks you might want to check out XBMCbuntu a branch of the popular Ubuntu linux OS.